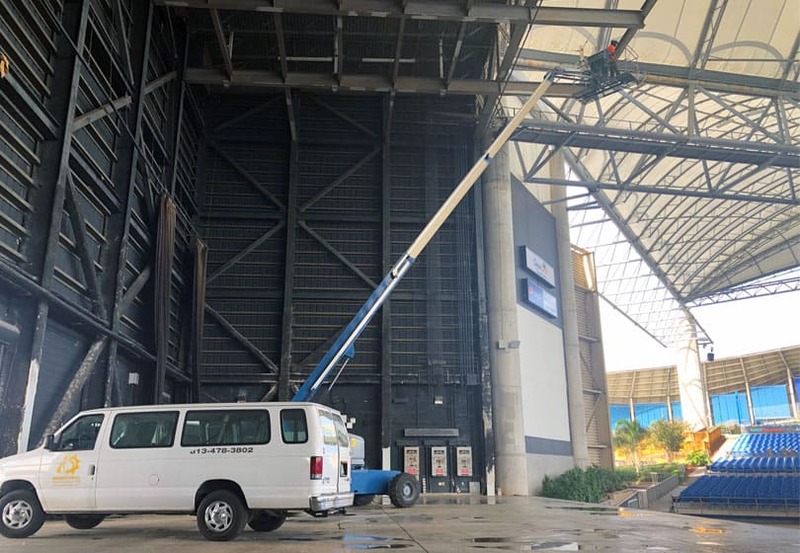 Tampa, FL … Live Nation and MidFlorida Credit Union Amphitheater choose Industrial Painting Solutions to remediate the structural steel in and around the stage, as well as, revitalize the sound proof wall in an ongoing effort to maintain the venue’s integrity.“We are thrilled to work with the Amp and see this as a great way for the venue to continue hosting top notch events for a long time to come,” said Matt Yarbrough, Founder of Industrial Painting Solutions.The MidFlorida Credit Union Amphitheater is an outdoor amphitheater located on the Florida State Fairgrounds. It has a capacity of approximately 20,000 and was opened in July 2004. The MidFlorida Credit Union has been a go to venue for entertainment for the last 14 years and the steel is starting to show signs of corrosion. Due to roof leaks, heavy corrosion formed on the steel beams that support the lights above the stage. Not only did water collect on the stage but rust on structural steel 60 feet in the air poses a safety risk for entertainers. The problem was flagged by code enforcement and action had to be taken. 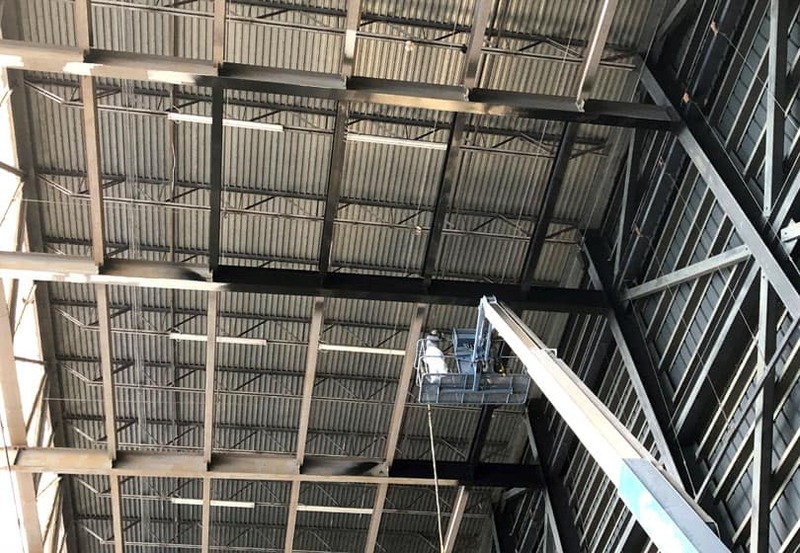 Due to the height of the ceiling an articulated man-lift had to be used to reach the structural steel. Wire wheel and flapper discs was used to remove the surface rust. From the ground the rust was barely noticeable. After a closer inspection from the man-lift, severe rust was discovered on top of the beams where the roof leaked. The rust was removed and spot primed with Macropoxy 646 two part epoxy. After spot priming, IPS and Live Nation elected to use a polyurea coating. 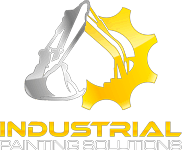 Polyurea is an industrial coating that sprays on thick- usually 20-80 mils, dries within seconds and encapsulates the steel to prevent corrosion.If your company is in need of corrosion control, call Industrial Painting Solutions for a free quote.